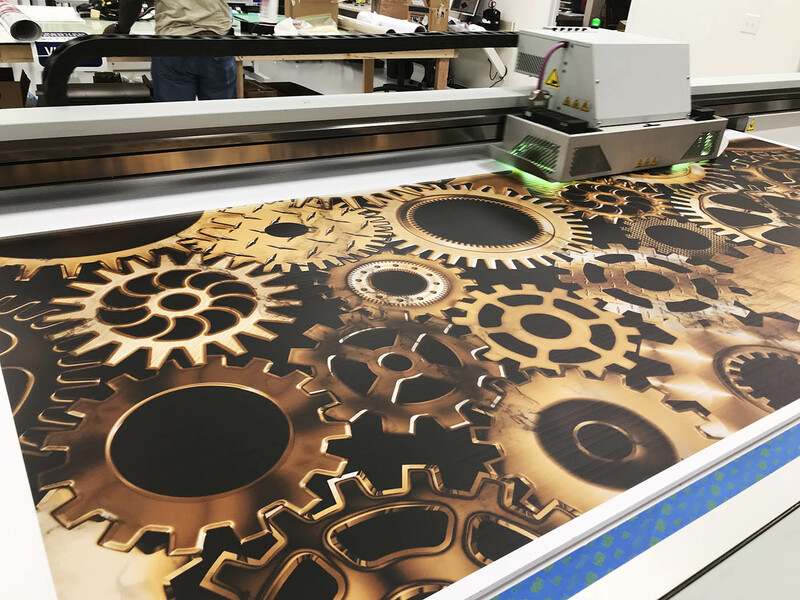 Imagine direct flatbed printing to almost anything that is reasonably flat, up to 2" thick, up to 4' x 8' either single or double-sided. 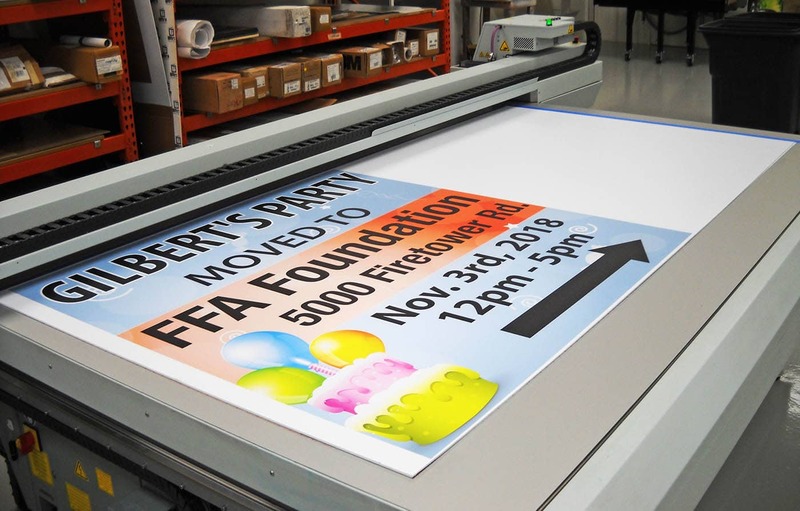 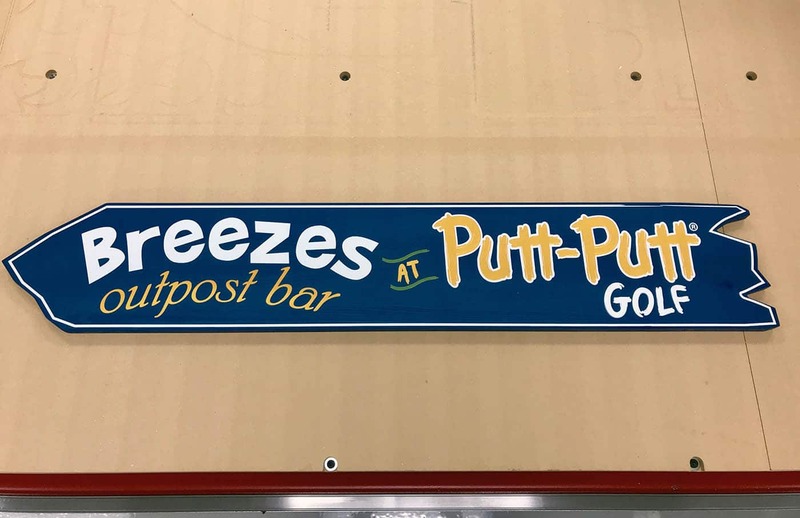 This printing process utilizes a four-color ink set and offers a wide color gamut with great durability both for indoor and outdoor use. 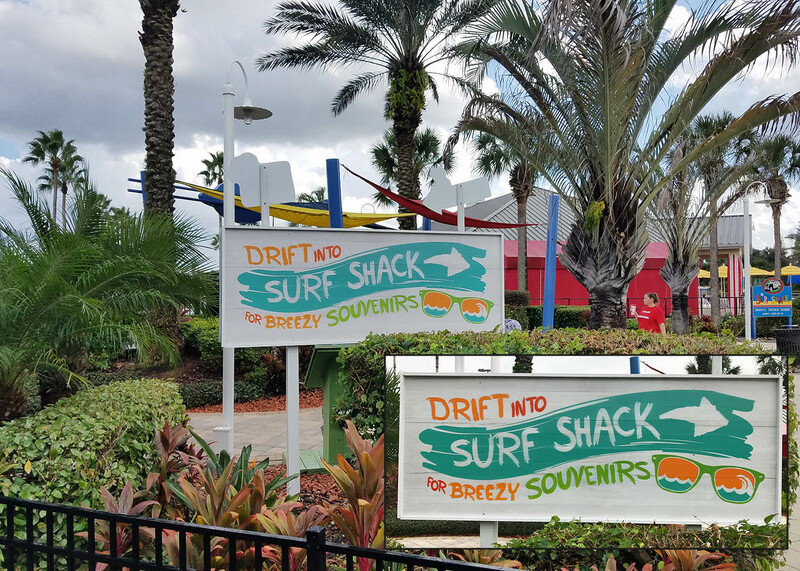 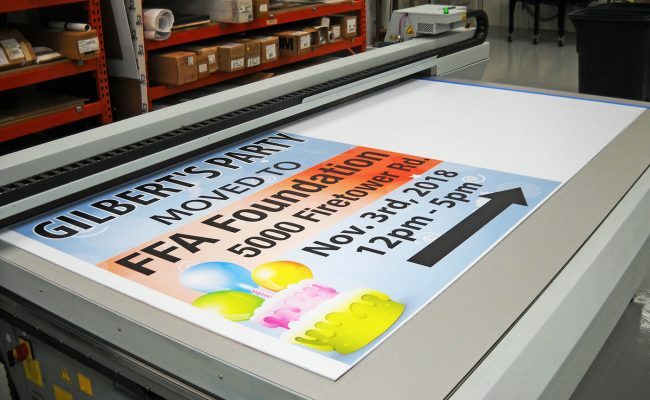 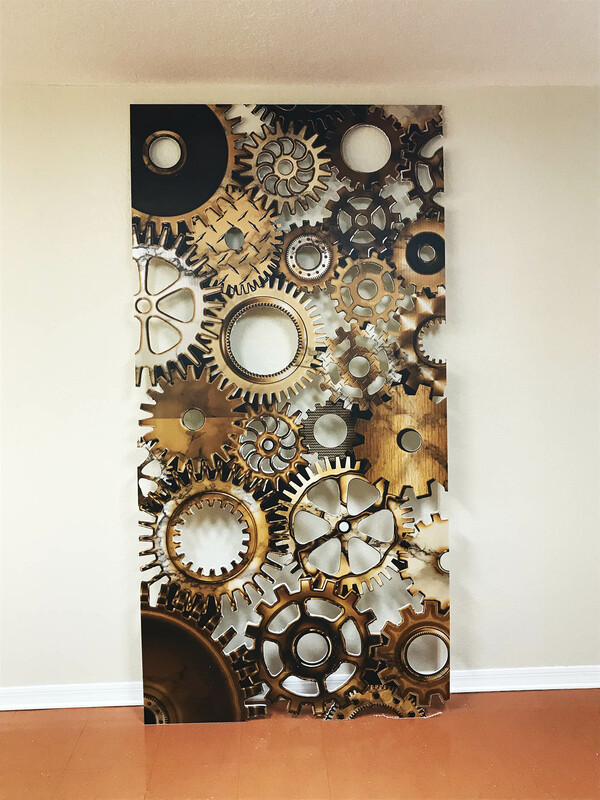 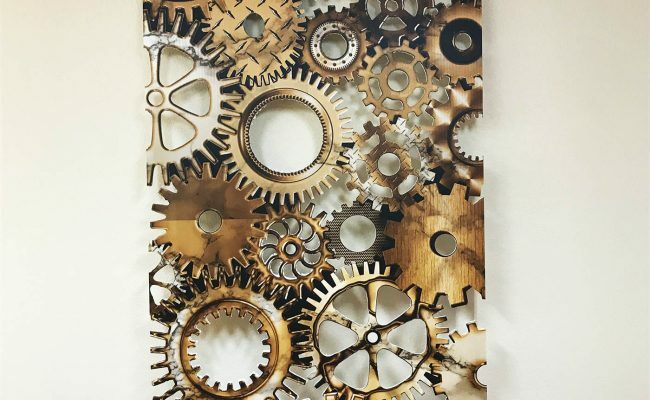 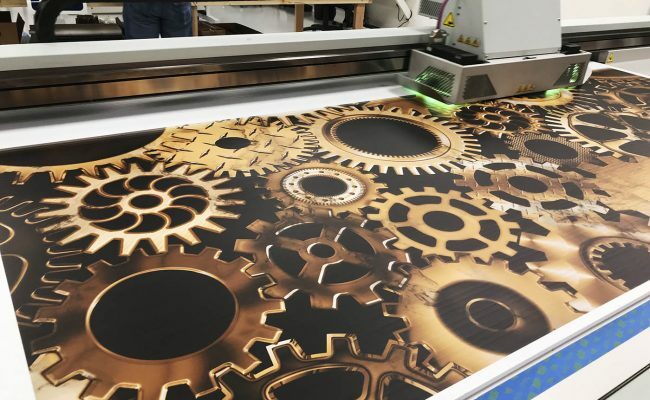 There are a variety of substrates available that are designed specifically for UV flatbed printing, which include foam board, PVC board (Sintra), styrene, aluminum composite material, corrugated plastic and more.